The adidas Predator Pro Goalkeeper Gloves features the Solar Yellow URG 2.0 latex and a negative cut for superb grip and comfort during game play. The one piece glove body made of breathable knit material offers a wonderful balance of function and design. The adidas Predator Pro goalkeeper glove features a Solar Yellow game latex called the URG 2.0. An upgrade from the Nova that provides a better balance of grip, cushioning and durability at the game level. Palm area is extended slightly past the base of the palm to increase surface area of the glove and ball control. URG 2.0 is adidas goalkeeping version of a contact latex which is protected by a plastic film. Make sure you don’t not remove the plastic until you determine the goalie gloves fit correctly. 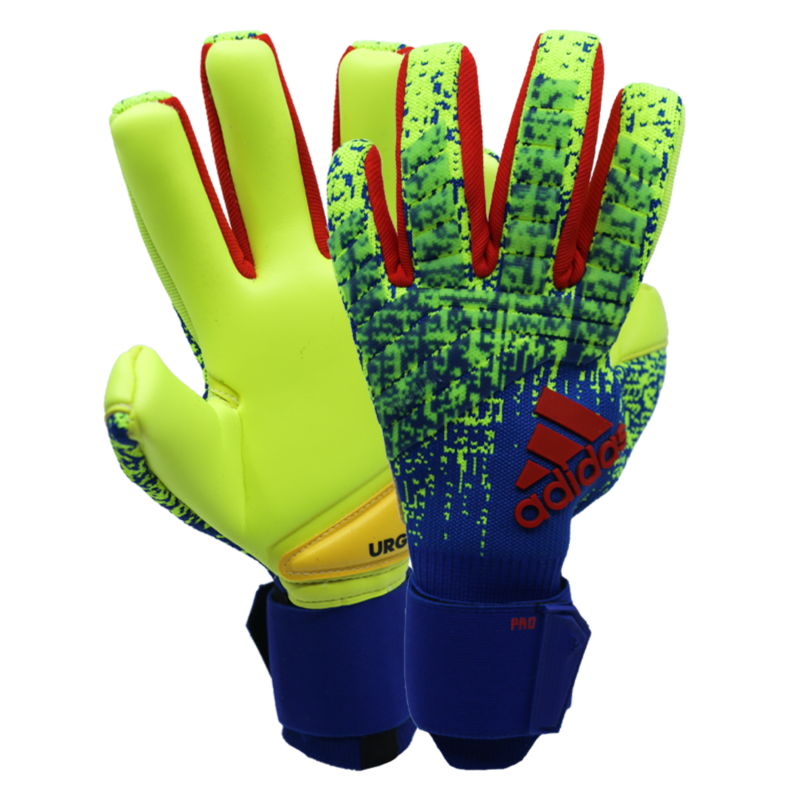 This is an all weather latex and when kept damp during use activates Adidas best grip and increases the durability. Additional zone of latex at the base of the palm in an area that receives a lot of contact with the ground during saves. 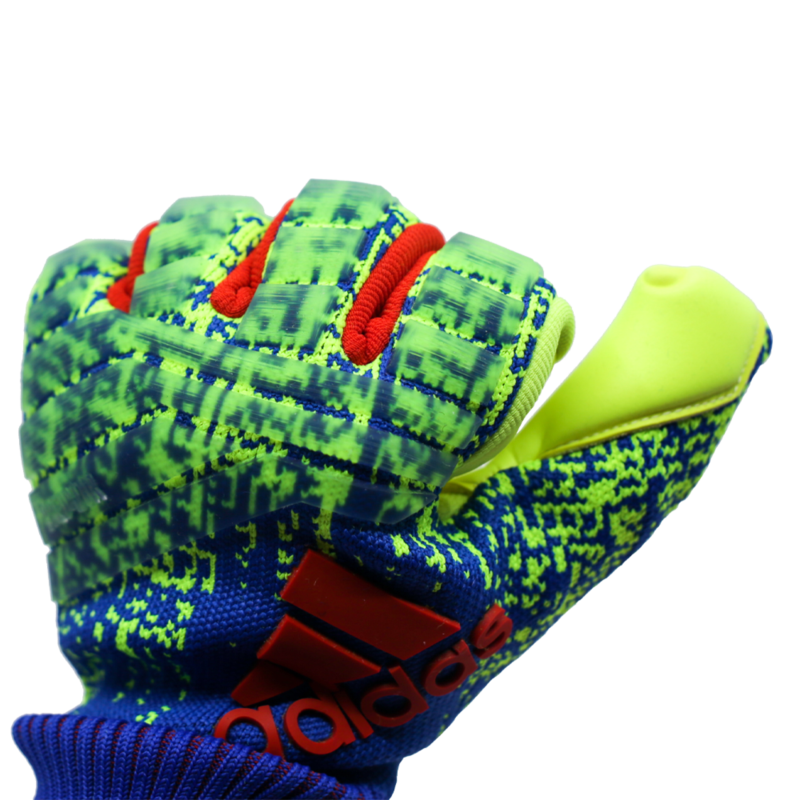 Adidas has engineered a knit backhand construction for the Adidas Predator Pro gloves. The knit material is snug and exceptionally comfortable. Silicone reinforcement on the back of the fingers and knuckles for more support and protection when punching. Minimalist gloves are too minimal at times. The Predator pro goalie glove has a nice balance of support, tightness, and comfort. Well designed from color details to construction. 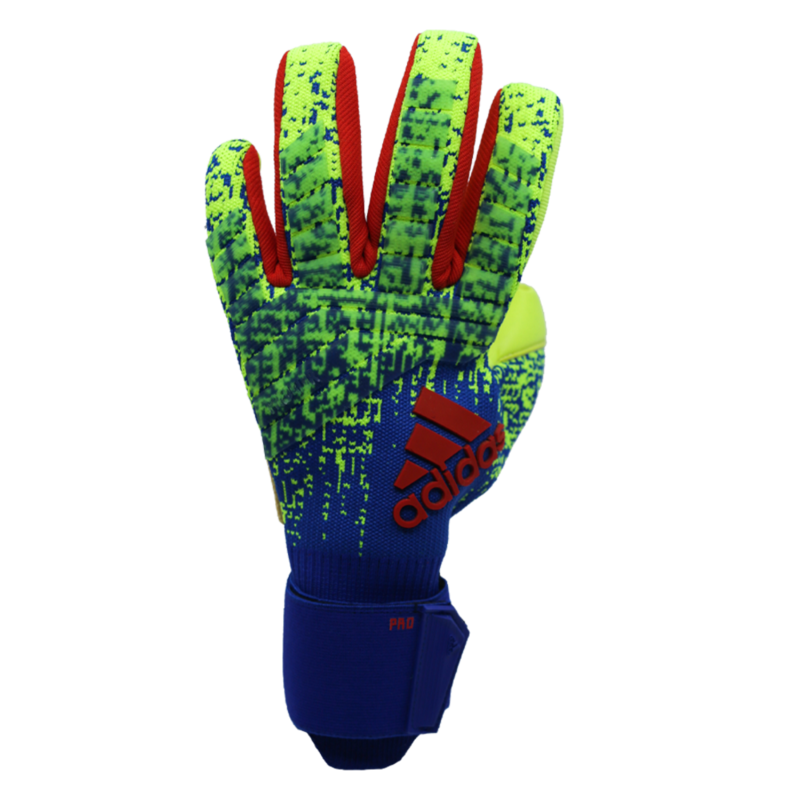 Adidas negative cut that most of the Adidas professional keepers wear such De Gea, Ter Stegen, Neuer, and many more. 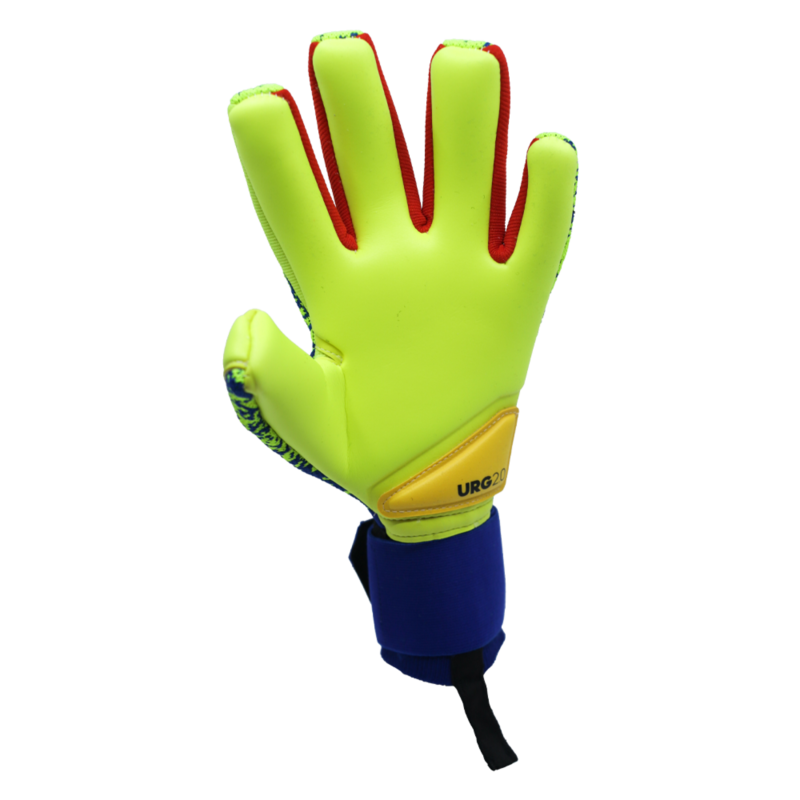 The negative cut is great for male and female advanced goalkeepers that have long fingers and a narrow palm or prefer a tight fit. 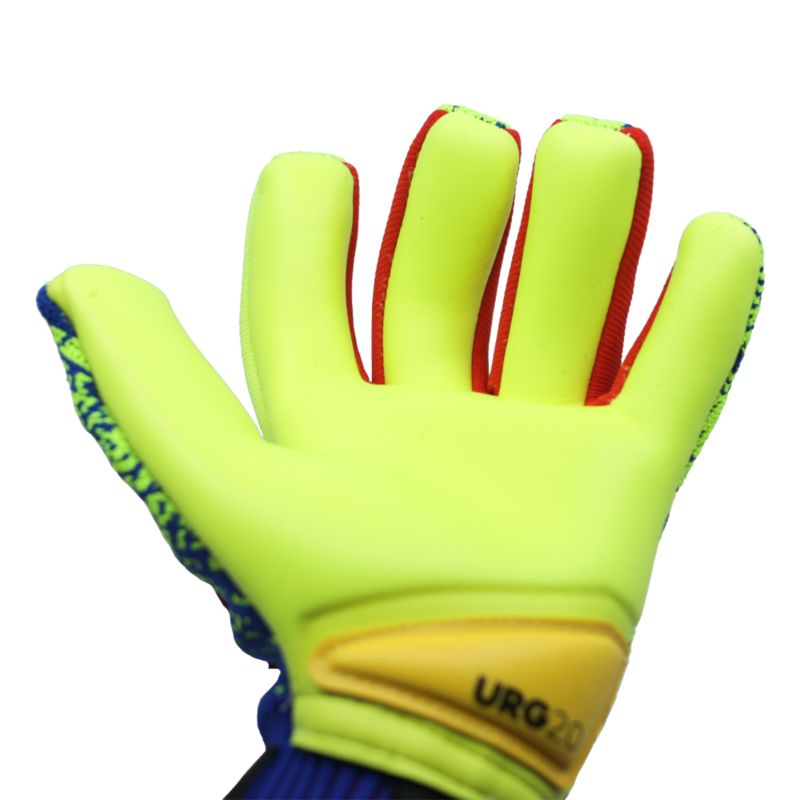 The vibrant textile finger gussets bring the glove closer to the fingers and hand to achieve a more custom fit. Definitely an upgrade in comfort than prior predator or trans pro models. The extended knit closure is comfortable and easier to pull on and off. 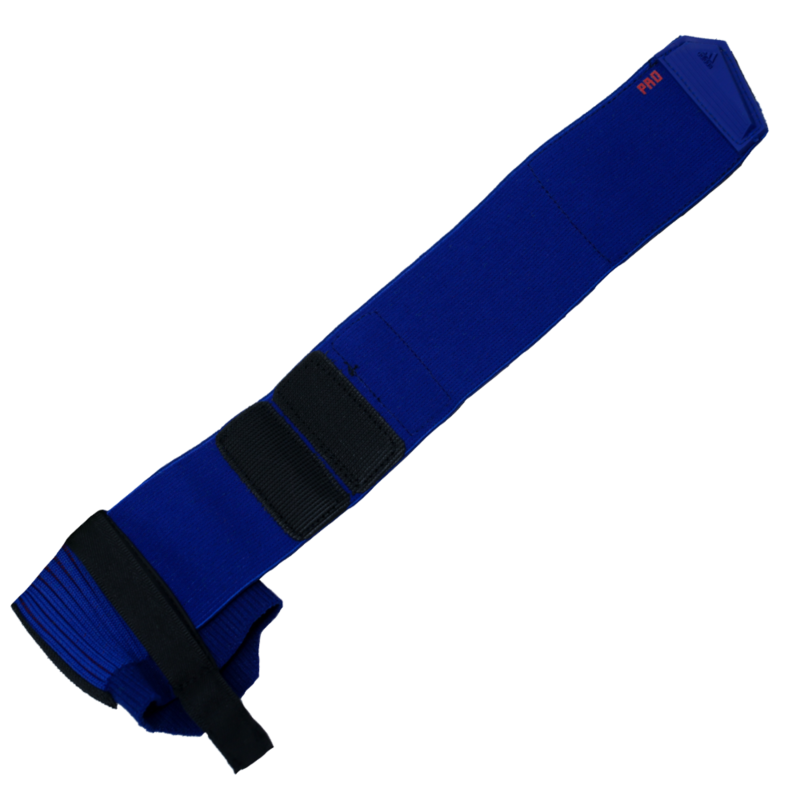 Double wrap elasticated wrist bandage for a secure fit. Adidas goalkeeping describes the closure as CLOSE-FITTING BANDAGE without restrictive seams, a revolutionary bandage which perfectly fits most peoples ‘wrists. Take care getting the glove on and off. Great option for advanced youth, high school, college to professional goalkeepers that appreciate the snug nature of the adidas negative cut goalie gloves. Offers best gripping properties when the palm is kept damp. 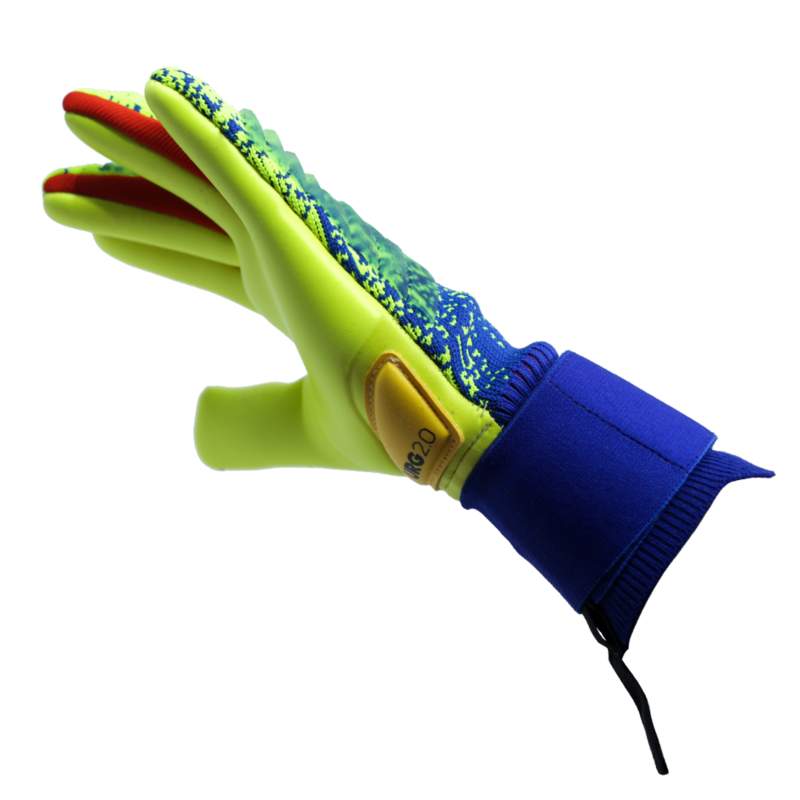 The adidas Predator Pro Solar Yellow, in our humble opinion, is a game glove for advanced male and female goalkeepers. 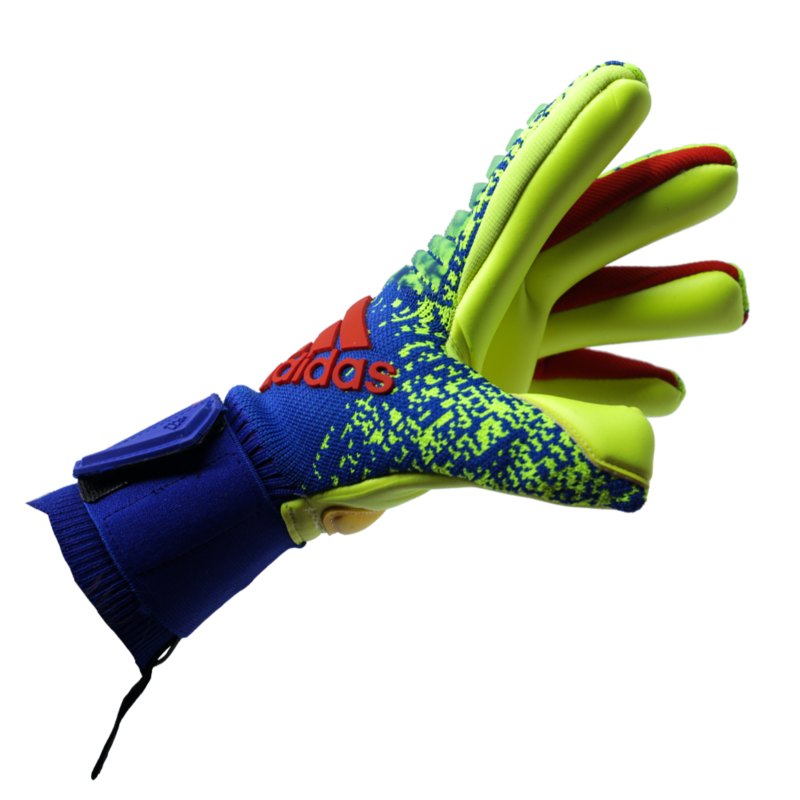 It has one of adidas best gripping all weather latex as stated previously. Dampen prior to use and clean regularly for best performance.